On November 17th, Talbot County Fire Departments 40, 70, 60, and TCEMS Unit 96 were dispatched to a house fire in the 47 Box. A passerby called in smoke coming from the house. A second alarm went out to Talbot County Departments 20, 30, 50, and 80 for assistance at the scene. Caroline County Station 200 filled Station 40 and was later called to the scene to assist. 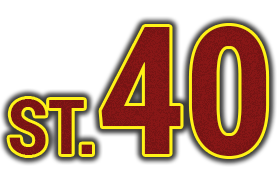 Members of Station 40 ran a total of 4 calls from 9AM-9PM yesterday, including a water rescue and a house fire.